Whether you're looking to treat an adrenaline junkie adult or one of the kids, we have an animal based experience to suit. Gift Experience Day's range of animal-based experiences for thrill seekers include diving with sharks and getting up close and personal with the big cats at various wildlife parks across the country. 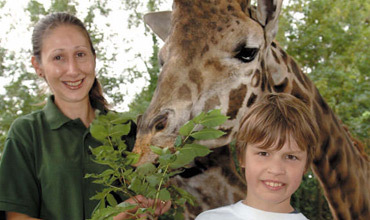 We also have more family-friendly experiences on offer, including horse-riding, falconry and meeting the meerkats at Knowsley Safari Park. Our range of amazing animal experiences mean you can go wild across the UK.